More than one third of our workforce will disappear in the next fifteen years as Baby Boomers retire. This was expected sooner, but the so-called Great Recession wiped out many retirement accounts and has delayed their exit. The job market is quickly changing to a candidate-driven market rather than company-driven. Any hiring manager, HR manager or recruiter who has recently worked to fill a category manager position would attest to this fact. Focus the content of your emails. When sending an email, try to deal with only one topic at a time. If you’ve ever sent an email with several questions that all require responses and received an answer to just one of the topics, you know how typical it is for the individual on the receiving end to think they’ve answered you… and then potentially delete the original email. It’s ok to ask more than one question in one email as long as it all pertains to the same general topic. The problem comes when you are dealing with several different subjects. From the recipient’s standpoint, they may feel overwhelmed by all the topics vying for their attention in that one email. This frustration can lead to putting your email on the back burner or even permanently ignoring it. Everyone needs an email buddy. We’ve all experienced emails we wish we could take back…or wish we had never received. From time to time, everyone deals with sensitive subjects that when communicated by email have the potential to absolutely explode if not worded correctly. Identify an email buddy who is willing to review and provide honest evaluation to your sensitive emails before sending. This simple tactic could save you a lot of grief in the long run. Make sure your email buddy is someone you trust and can confide in fully. More importantly, select someone who is going to shoot straight with you and won’t be afraid to tell you when an email could cause problems, and who will openly suggest changes. In the 1800s, our country was an agricultural society and by the 1900s we had transitioned to an industrial society. Today, it can be said that our economy is in the Service Age. Many U.S. manufacturing jobs have gone to China and other countries, and they are not coming back. In 1900, 38% of American workers were still employed in agricultural occupations. At the end of the century, that figure was 3%. Persons employed in goods-producing industries (manufacturing) fell from 31% to 19% of the workforce. However, jobs haven’t “gone away” – they have just morphed into different types of jobs. Service industries accounted for the most significant rise in 20th century employment, increasing from 31% to 78% of the workforce. As a nation, we must recognize that this shift to a more service-based economy is going to continue, and we must plan accordingly. Plenty of opportunities still exist, but they are very different from the jobs of the past. We still have a good economy, but the job landscape and necessary training to thrive in that landscape have changed. It is essential that we retrain our workforce – and our future workforce – with new and varied skill sets to compete for the new jobs that accompany the service economy. All of us – individuals and employers alike – have to wake up and understand that society is changing again to a completely different economic model. As a nation, we’ve been nimble before, we’ve pivoted and adopted. These shifts are hard, but as a society we must embrace and understand the change and adjust accordingly with the education and training that are necessary to adapt to a changing economic landscape. Candidates want to work for companies who appreciate their people… and who want to keep their talented people by recognizing their contributions. This is one of the largest areas of opportunity for many organizations. In a recent survey of human resource professionals, more than half said that keeping and retaining their talented employees was one of the greatest challenges they face. I enjoy working with companies in a strategic consulting role to help them keep and retain their top talent… rather than taking a basic tactical approach and simply filling a job opening. In fact, this is one of the reasons I recently pursued the Certified Employee Retention Specialist (CERS) designation from the National Association of Personnel Services. The perception in the marketplace is often that recruiters cause disruption by moving quality people in and out of positions, but I am particularly passionate about being part of the solution rather than part of the problem. This is part of the core of the CERS designation, which requires extensive knowledge of employment laws and regulations and the ability to serve as a consultative expert who can work with clients not to just find top talent, but to retain the top talent already on their team. CERS have the highest standard of business practices set forth by the National Association of Personnel Services. I’m proud to join approximately 60 CERS in the United States and thrive on the opportunity to work in long-term partnerships with the companies I serve, supporting them in their efforts to keep their very best people engaged and motivated. The Fordyce Letter is a respected industry publication known for delivering “straight talk for the recruiting profession” for more than four decades. In November 2012, I was honored to contribute an article titled The Mutual Promises That Make A Good Relationship, which provided a behind-the-scenes glimpse at the contingency search from the perspectives of both the company seeking talent and the recruiting firm seeking candidates on the company’s behalf. Both parties want the same result, which is to find talented people to help the company manage its business. But in many instances there is a huge gap between what the client company wants (top talent for the organization) and what it actually receives from the recruiter. The company may not feel it is getting the attention or quality of candidates it needs, while the recruiter is frustrated by the lack of relationship with the company he or she is supposed to be representing. After seeing this challenge arise again and again in my tenure in this profession, I felt compelled to offer a potential solution for closing that gap. I’m for changing the way we do business as we move the industry forward. Read the entire article in The Fordyce Letter here. Welcome! Thank you for visiting my blog. I will be posting regular tips and topics intended both for job seeking candidates as well as for hiring managers and HR professionals. Please visit my “About” page or my LinkedIn profile to learn more about my experience and qualifications. 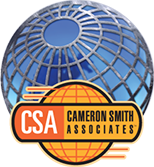 I’m proud to have more than fourteen years of experience with Cameron Smith & Associates and am the most tenured recruiter within our firm. 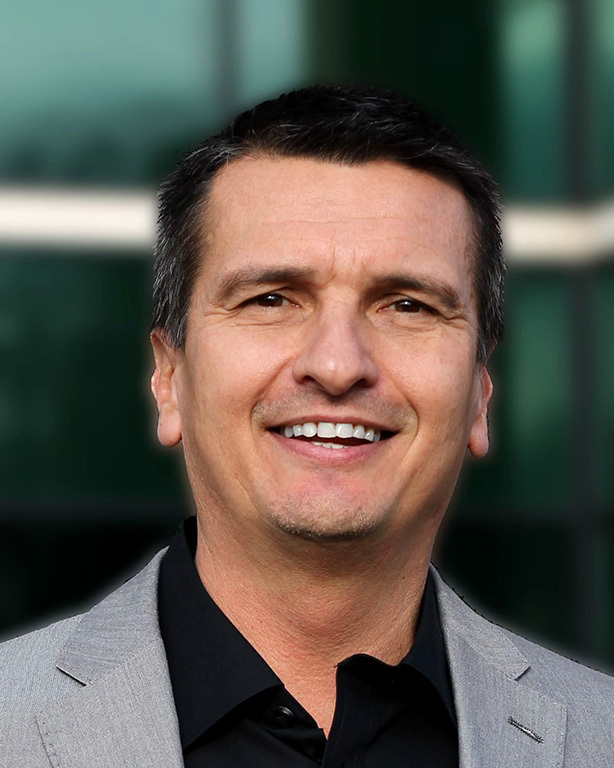 I specialize in the consumer products industry, mainly in sales, category management and supply chain opportunities in the Bentonville, Chicago and Minneapolis markets. You can click at the right to follow my regular blog posts, or subscribe to receive my occasional Hiring Professional and Candidate Newsletter, a monthly source for hiring industry and career news with exclusive content, market updates, practical wisdom, interview and hiring tips for HR professionals as well as job seekers, and insider tips for recruiting and retaining top talent. I look forward to the opportunity to serve you and welcome your questions and comments.